Dux-Soup is not sending invites, how to fix it? There are a few scenarios why Dux-Soup is not sending invites. You have not selected the Option to send out connection requests on Dux-Soup. Sometimes it happens and you may have forgotten to enable the invitation sending to 2nd and 3rd degree connections. To check if your settings are right, click on the Dux-Soup icon in your browser and head over to Dux-Soup Options. Make sure both boxes are ticked under Automated Actions. Another reason why the invites are not being sent might be too many pending invites. 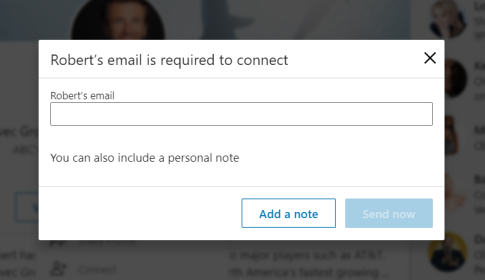 LinkedIn does NOT grant unlimited connection invitations so once you have reached the limit which is 3000 connection requests (altogether in your inbox), LinkedIn will stop you from inviting more members to connect. If you see that you have over 700 pending invites, that’s way too many and your inbox needs to be cleared. You can either perform this manually one by one by clicking “Withdraw” next to the invite; or you can bulk mark the invites and withdraw them. Too many people declined your connection request and your account has been flagged. If a prospect declines your invite by marking you as “I don’t know”, LinkedIn will treat this as a spam, and if you receive 5–7 of these, your account might get restricted. Unfortunately, Dux-Soup is not able to bypass this restriction and will have to wait until it’s lifted. You need to clear your pending invites via https://www.linkedin.com/mynetwork/invitation-manager/sent/ - tt can take anywhere from 48 hours for 30 days for the restriction to be removed automatically by LinkedIn.